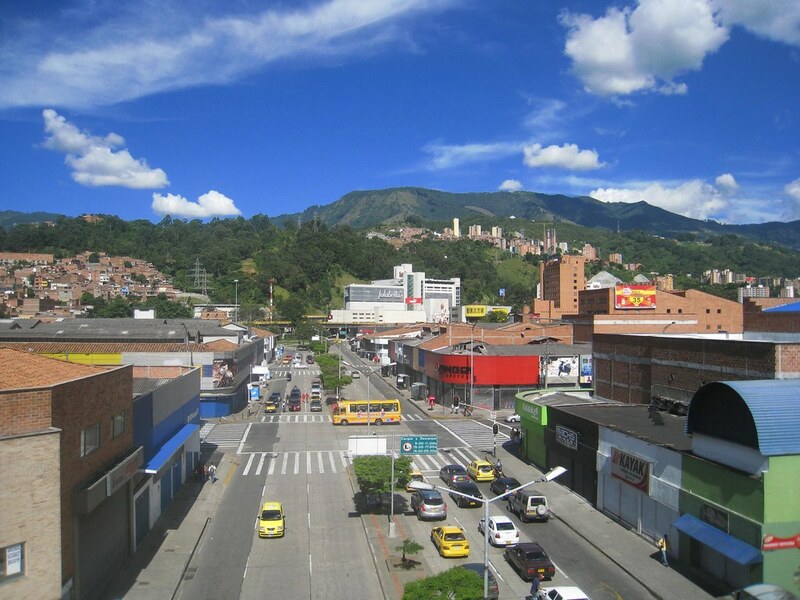 Medellin, Colombia is a city of 2 million that still feels like a village. Situated in a valley 1,500 meters above sea level, and surrounded by green mountains, it is blessed with Spring-like weather year round. With lots of universities, theaters, bars, clubs, and 2 professional soccer teams, there's always something going on, and there are plenty of modern malls to keep shoppers happy. Green Andean mountains form the perfect backdrop for the San Diego mall (white building). 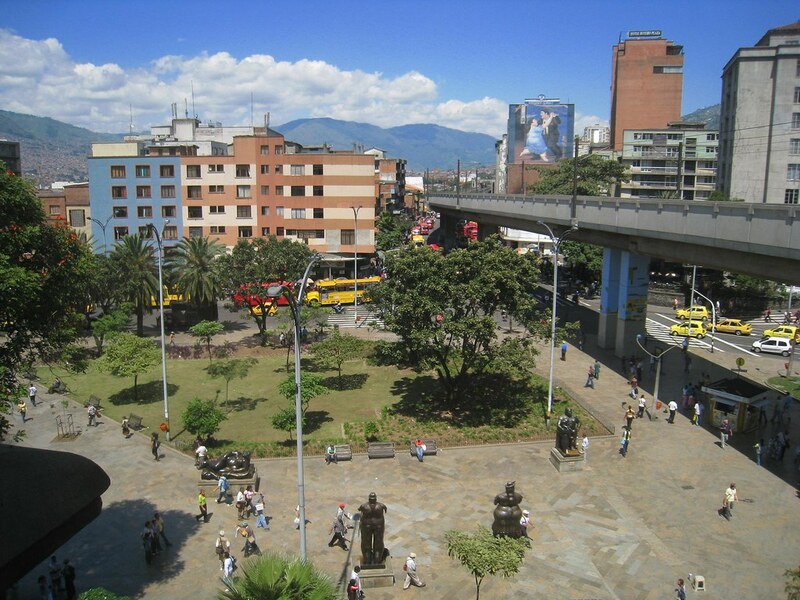 Looking down on the iconic sculptures of Botero Plaza in downtown Medellin. 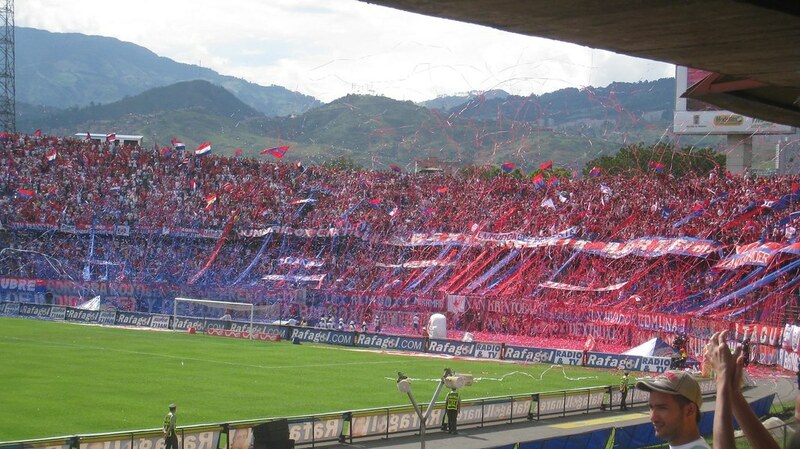 Fans of Independiente Medellin, one of the cities two soccer teams, go wild in the stands. 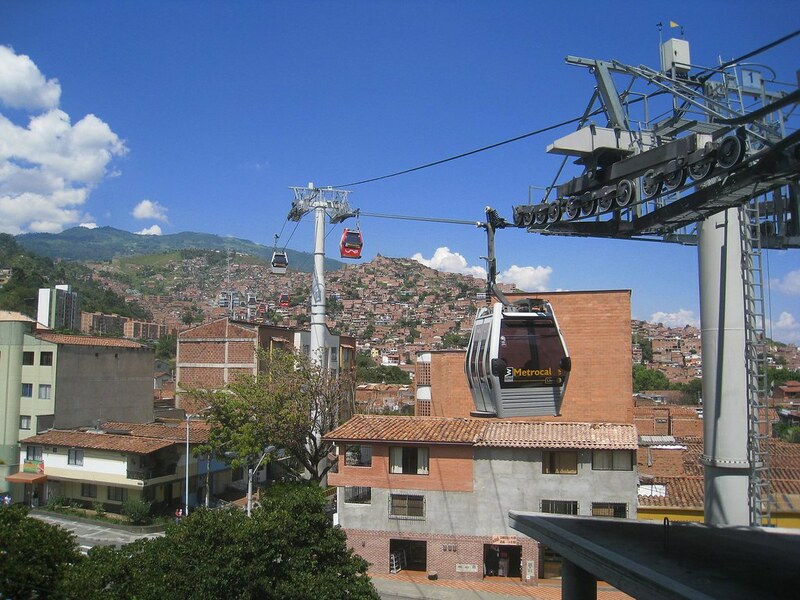 The Metrocable connects the main metro line with poor neighborhoods along the mountainside. 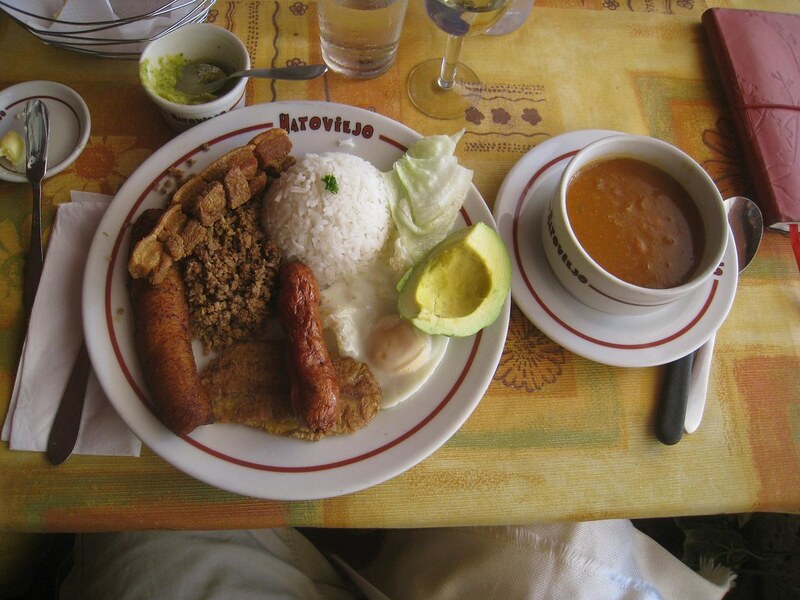 The oversized Bandeja Paisa is a popular dish in Antioquia, consisting of: beans, white rice, ground meat, pork rind (chicharron), fried egg, plantains, chorizo, arepa, and avocado. 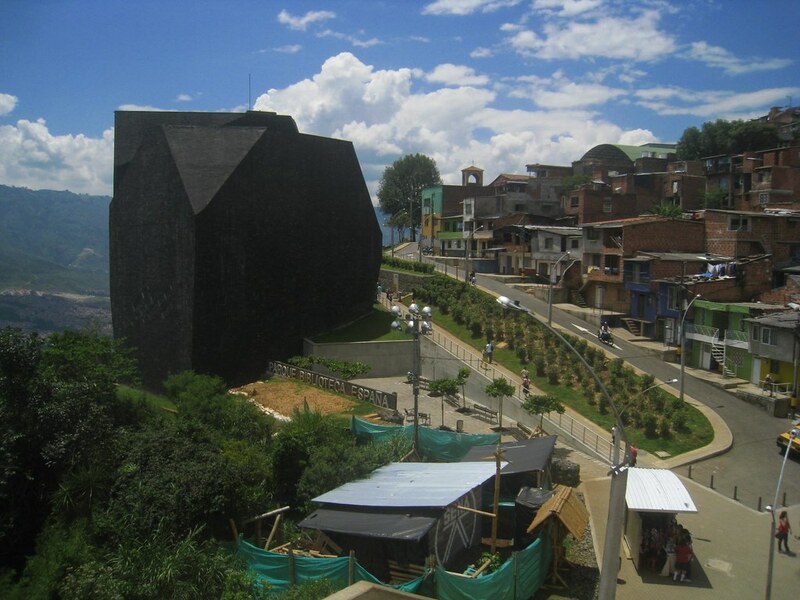 The ominous looking Biblioteca Espana was built on a mountainside to help revitalize a once dangerous neighborhood. 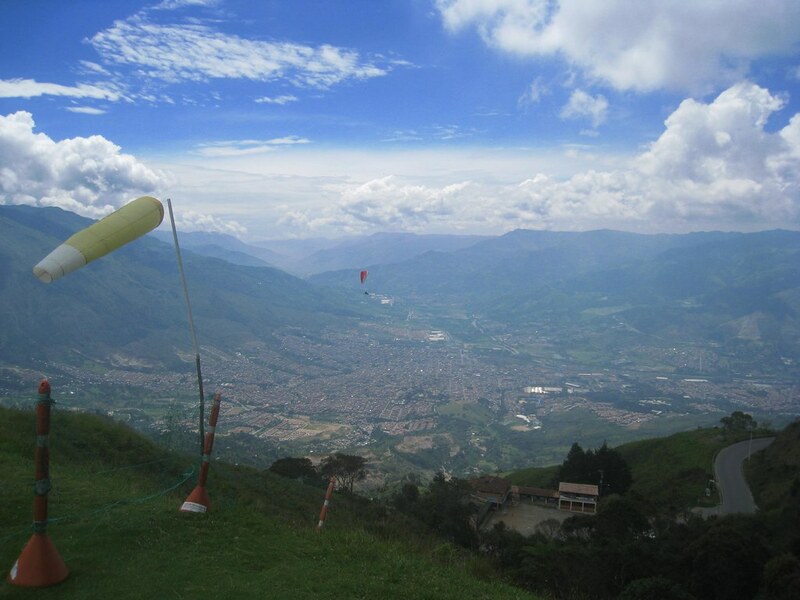 A 25-minute tandem paragliding flight can cost as little as $50 (USD) just outside Medellin. 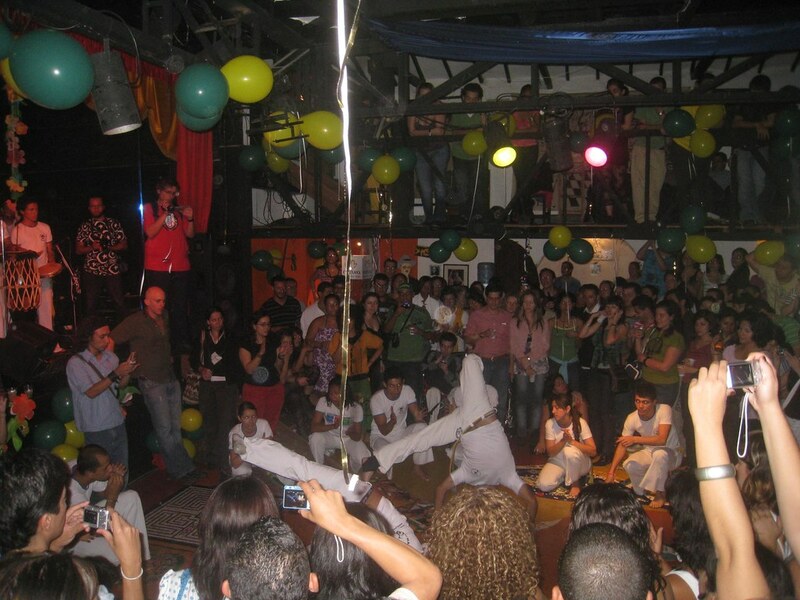 A high-energy capoeira performance during Brazil night at Teatro Matacandelas. 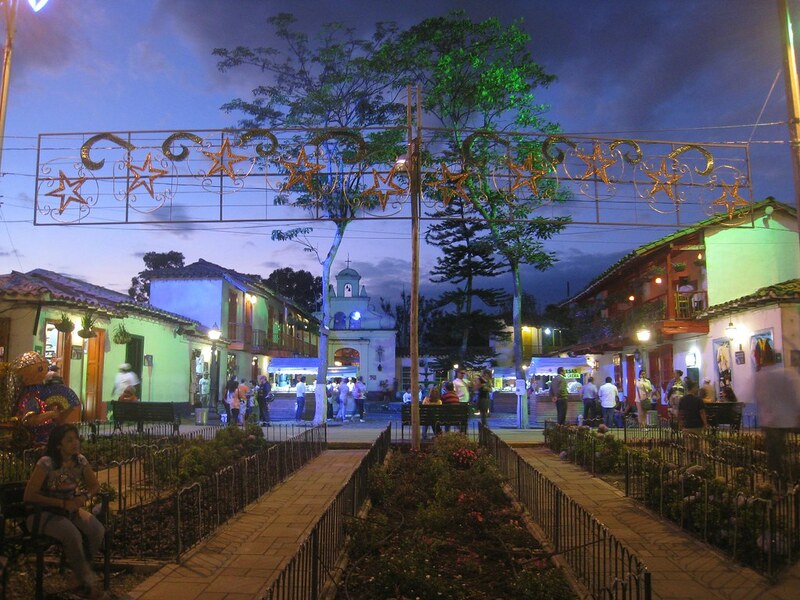 Sunset atop Pueblito Paisa, a replica of 20th century traditional Antioquian towns. 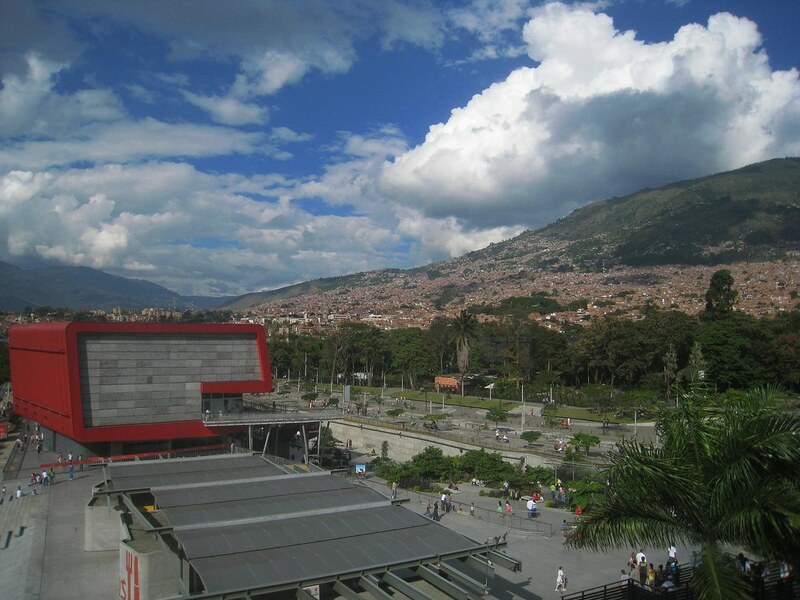 Medellin's biggest aquarium (foreground) as seen from the nearby metro platform. Very nice photos. Please keep the posts coming about Colombia when you get there! Awesome photos! You definitely made the right choice to present them in that size. Great photos. I can't wait to read more about this place when you're there. Thanks, I like the bigger photos more too! Joya – looking forward to sharing more of Colombia with everyone! You can SEE AND FEEL the energy in these photos. You are making me want to go there ! Awesome photos, especially of the futbol match. That's gold!